Need to reach a town real quick? Or perhaps you’d like to take a getaway over the weekend. For short range trips, you can always rely on the GA-7 Cougar to fly you to your intended location. This classic aircraft has been reliably around for over 4 decades and various upgrades were made to ensure passenger comfort. If you’re flying from Toronto, the GA-7 Cougar lets you reach Newfoundland and Labrador, Texas, USA or even the Bahamas. 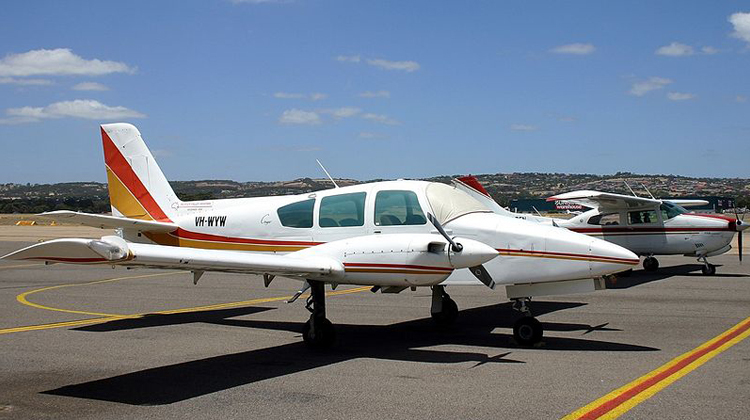 Did you know this 4-seat plane also has Short Take Off and Landing (STOL) capabilities? This means you can fly to and from much smaller airports, or even remote ones. Should you need to reach an island, this aircraft will take you there. Powered by two Lycoming engines, the GA-7 Cougar offers steady rides for you to appreciate aerial views throughout the trip. Know more about the specifications of the GA-7 Cougar aircraft, and charter your very own private flight aboard it today. Now there’s no need to worry much about traffic jams or long drives, just to reach a meeting venue. The GA-7 Cougar has the agility for you to take on short range flights, so you can reach your intended location within just an hour or so. For instance, traveling by car to Quebec from Toronto usually takes 8 hours. However by hopping on a private GA-7 Cougar, you’ll only be flying for a little over an hour to reach your target venue. A standard, private ride on the GA-7 Cougar includes WiFi, so you can stay connected with your friends, family and professional networks during the flight. However it’s still best to confirm your plane’s features with your operator, so you can make the most of your trip. The GA-7 Cougar’s classic avionics system has had corresponding upgrades for pilots to have more options in safely maneuvering the aircraft. Given its constant speed, you can also take the time to further appreciate the sceneries which you’ll be flying over. With the plane’s steady, flying pace, you can marvel at mountains, towns, landscapes and rivers all within at most, an hour’s worth of flight. Since the GA-7 Cougar is up for short range flights, this plane does not have a compartment for luggage. It’s also necessary for you to confirm the number of passengers you’ll fly with, especially if you intend to reach a farther than usual location. This way, your operator can find the best possible routes and schedules for your flight plan. Generally, a much lighter aircraft can fly to much farther destinations at a faster pace. Manufactured by Gulfstream American Aviation, the GA-7 Cougar had its first flight and was introduced in 1974. In 1995 the aircraft’s design was sold to French company, SOCATA to be primarily offered for the training market. The GA-7 Cougar has a straightforward design and avionics system, hence it’s just the fitting aircraft for pilots-in-training and seasoned, practical ones. With its 4-decade’s worth of service, the aircraft currently has over 100 units being flown around the world. Among its counterparts would be the Duchess from Beechcraft and Piper’s Seminole.